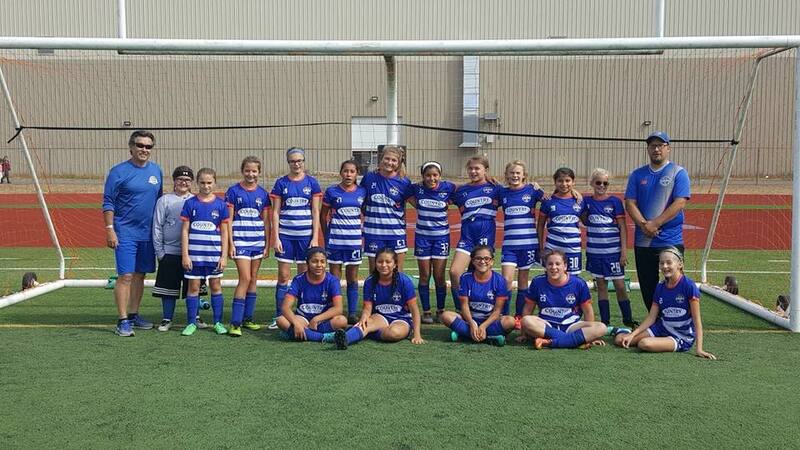 The Twin City Union FC U13 girls team locked up a first ever league title over the weekend. The girls finished their season with 8 wins, 2 draws and no losses scoring 31 goals and only giving up 6. It was an exceptional first season for the blended U13 and U12 age girls. You can see a lot of their exploits over the season on our Club Facebook page. Big thanks to Coach Steve Ward and his assistant Eric Burkevics and Team Manager Heidi Palmer on getting the girls prepared for the season and keeping all the families up to date on what is going on week to week! They will pick back up with league play in February.